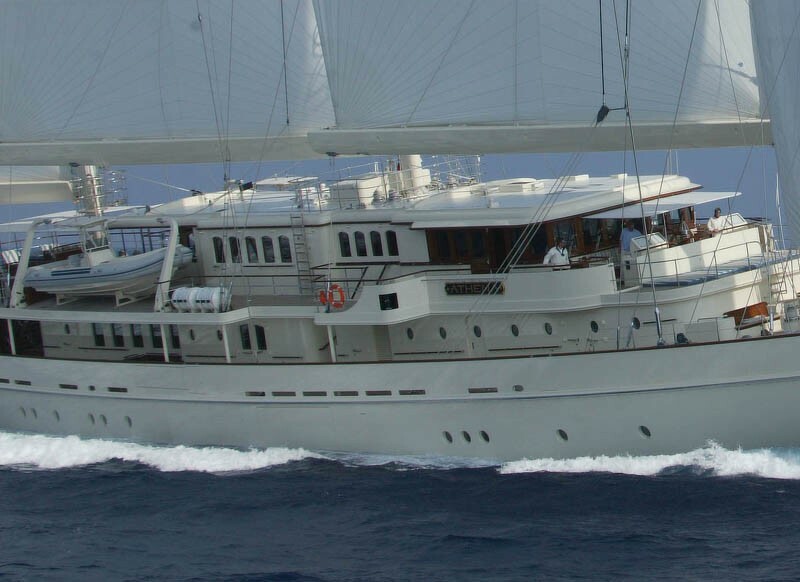 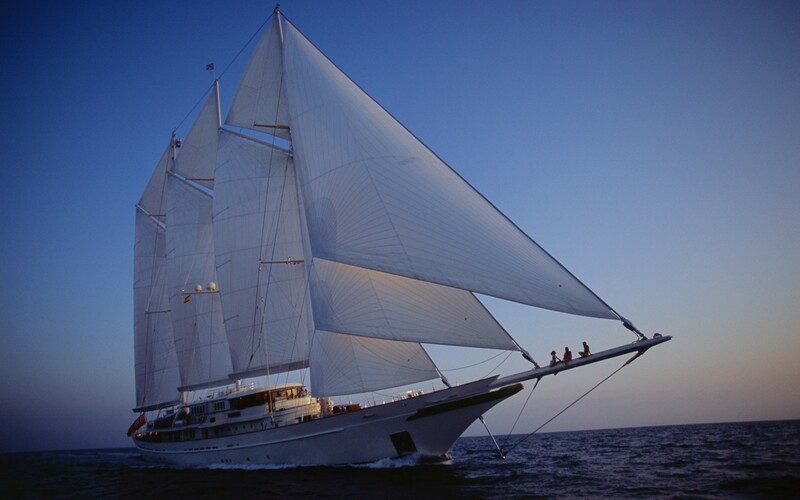 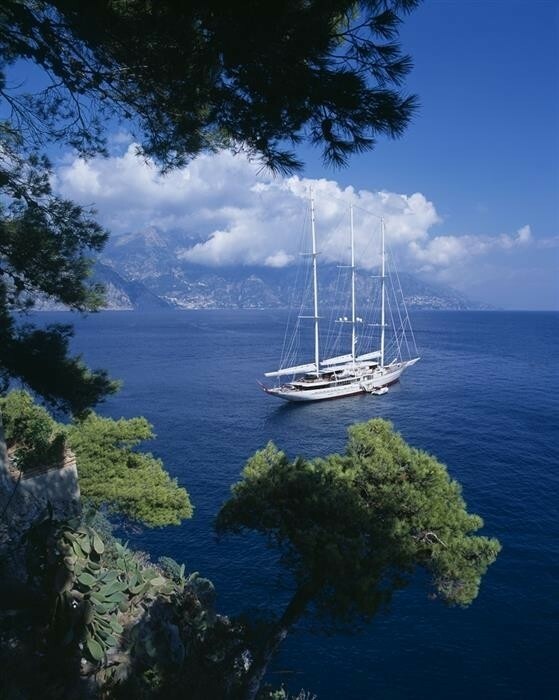 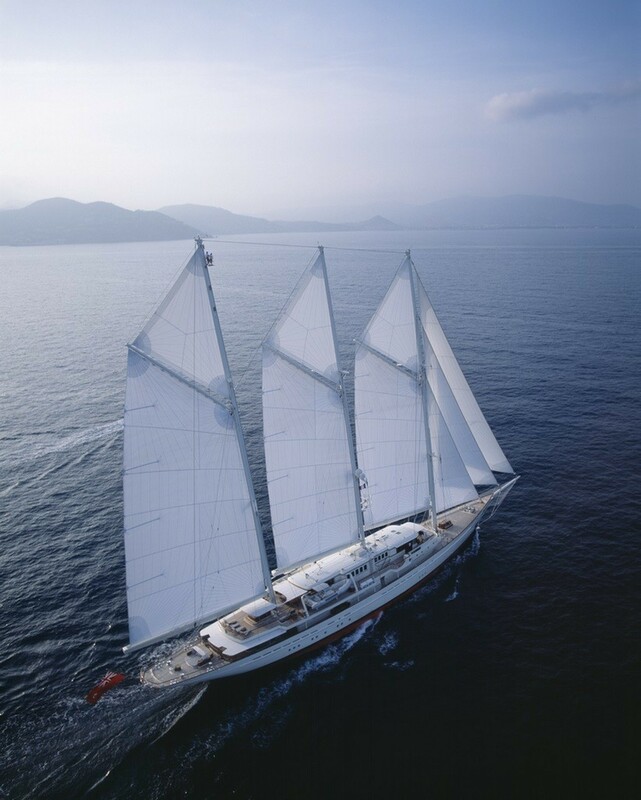 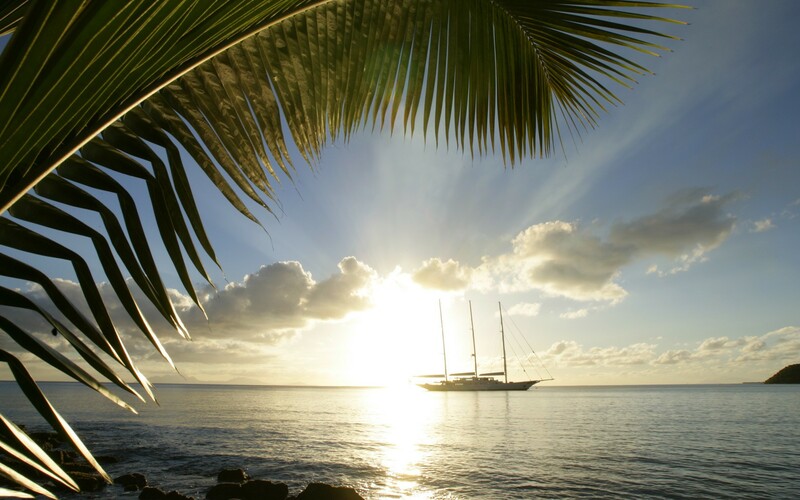 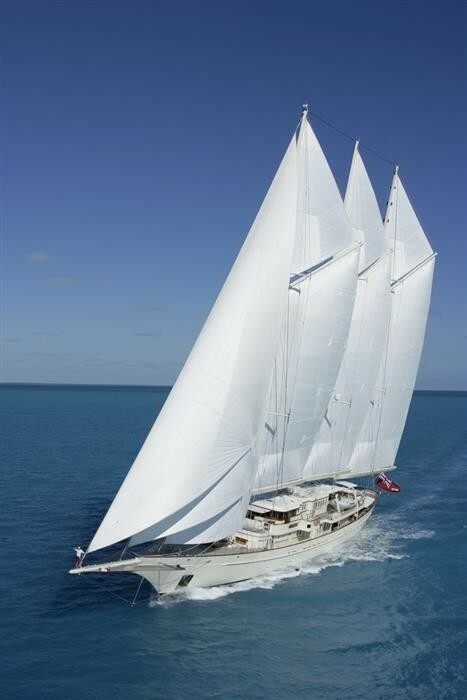 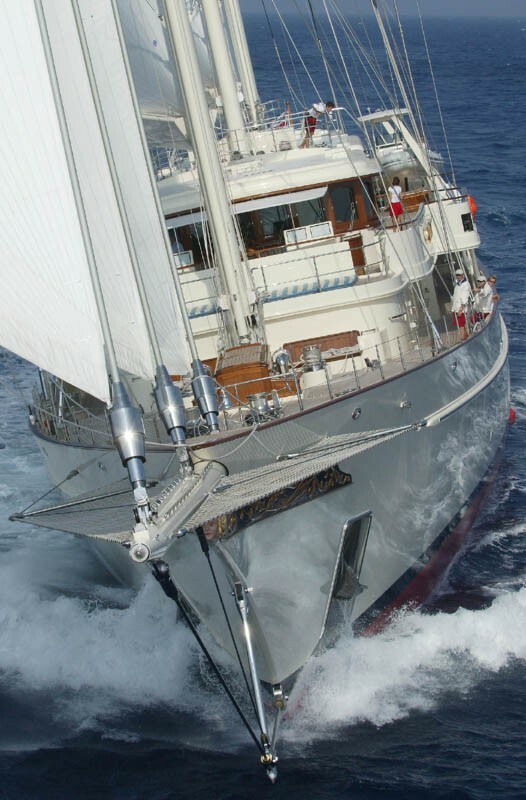 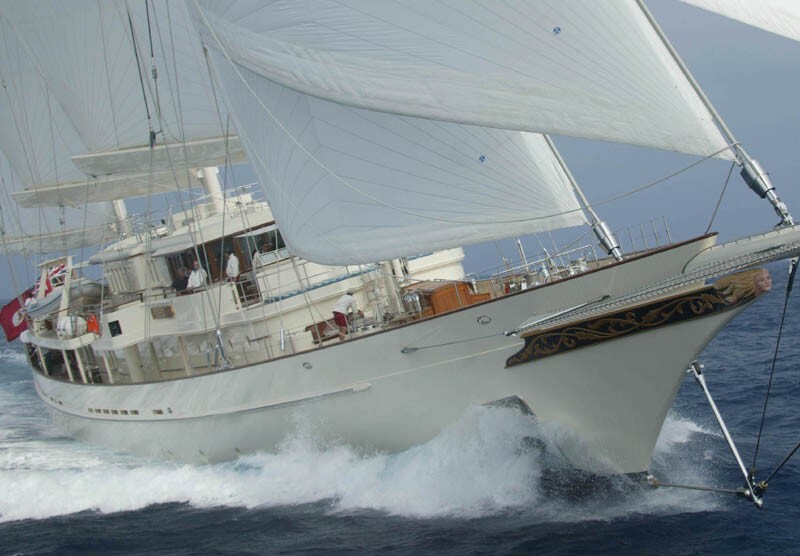 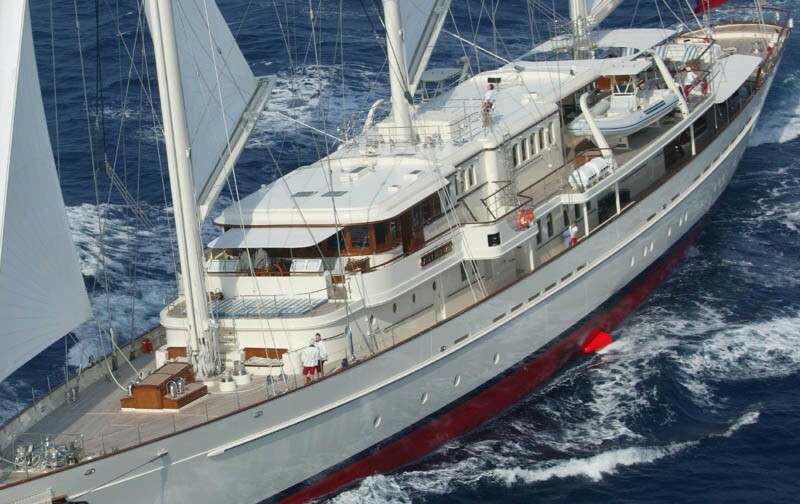 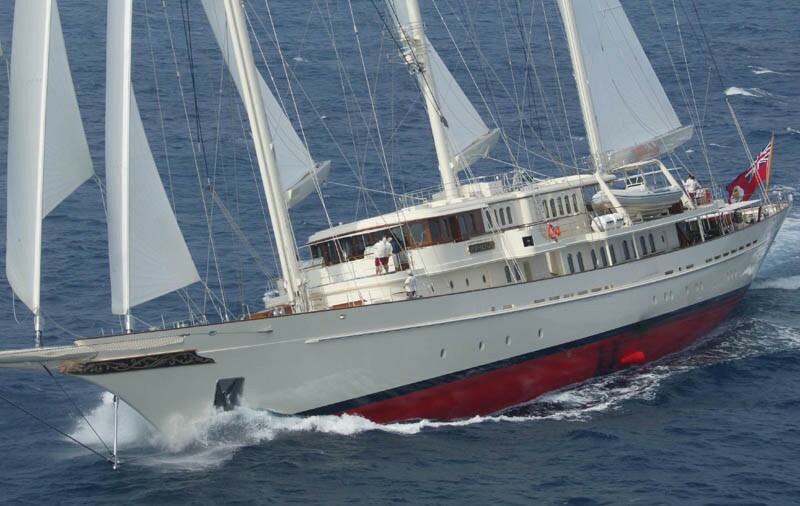 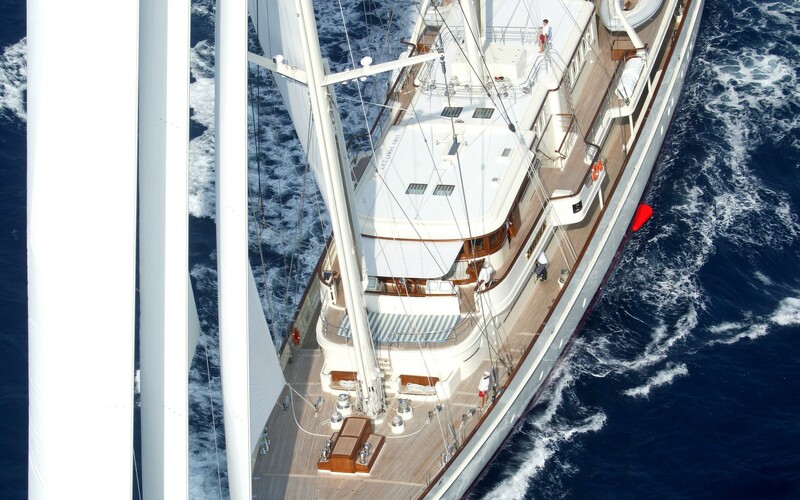 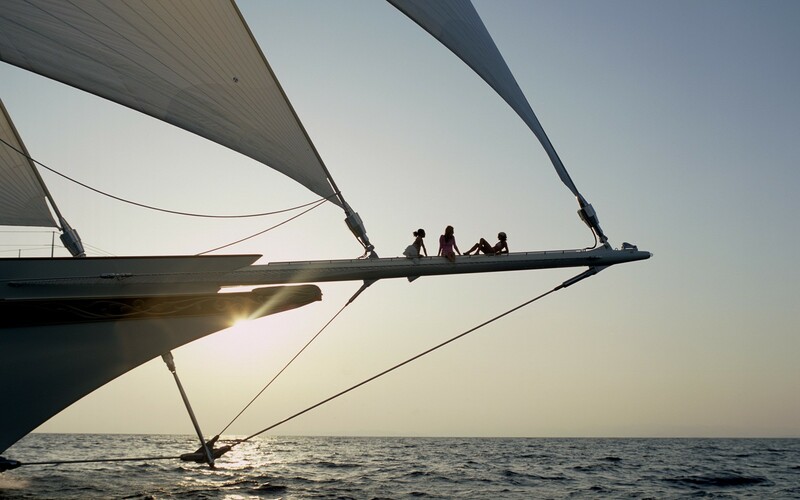 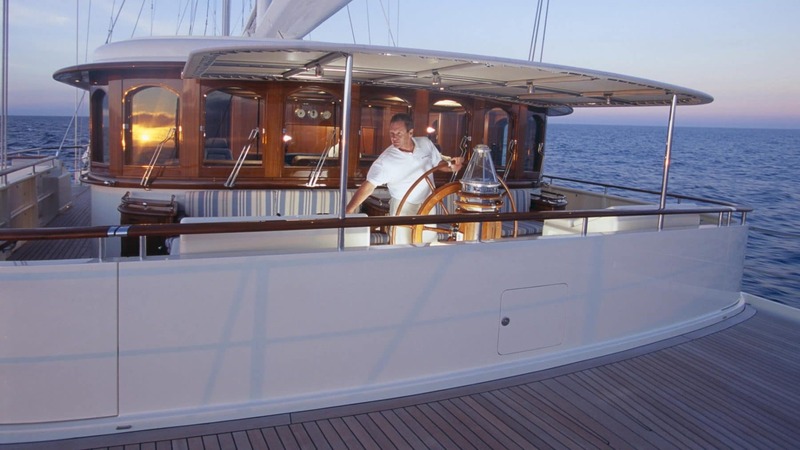 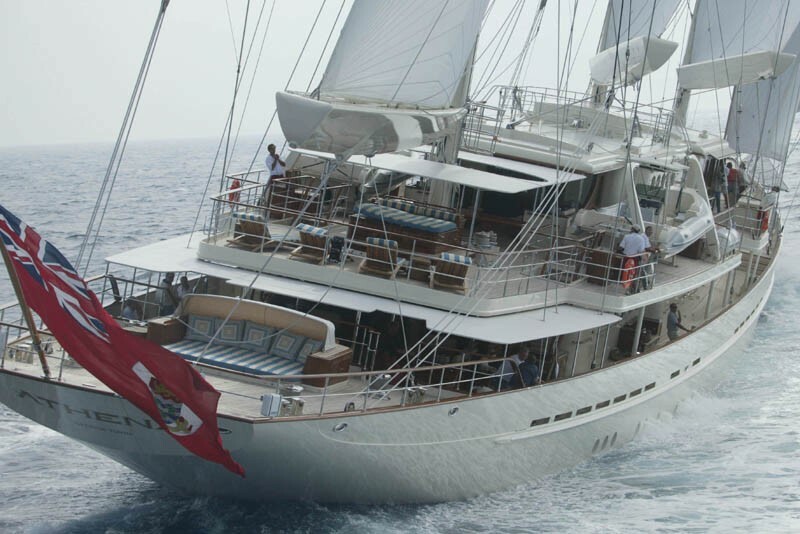 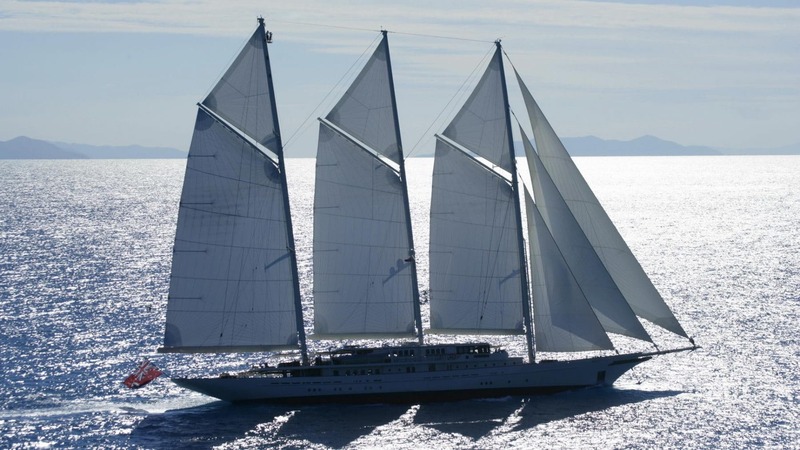 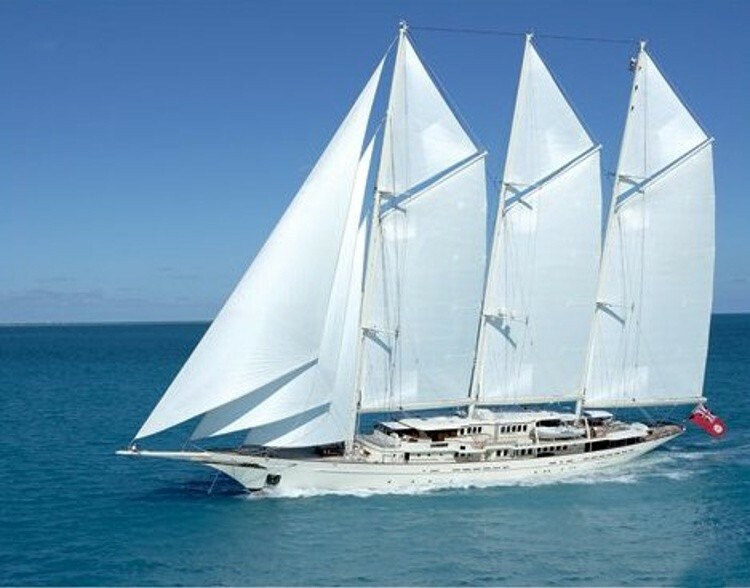 Built by Royal Huisman in 2004 and last refitted in 2011, this 90m/295ft CUSTOM SAILING YACHT has a painted white aluminium hull and matching masts and sails to create an impressive sight on the waves. 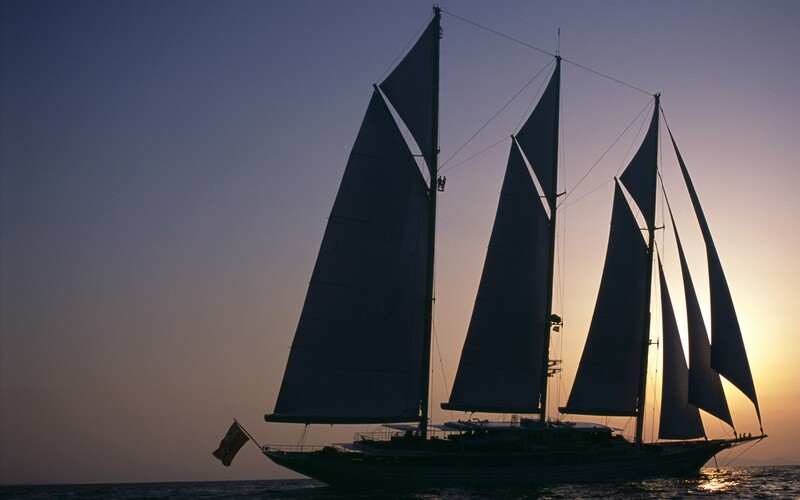 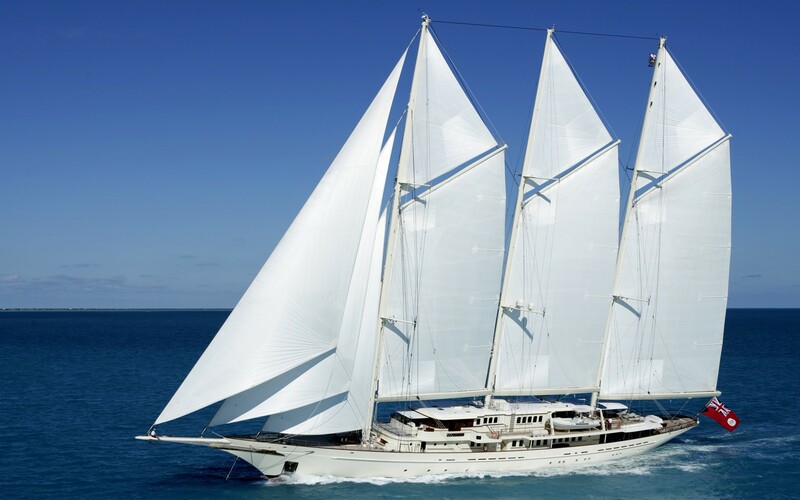 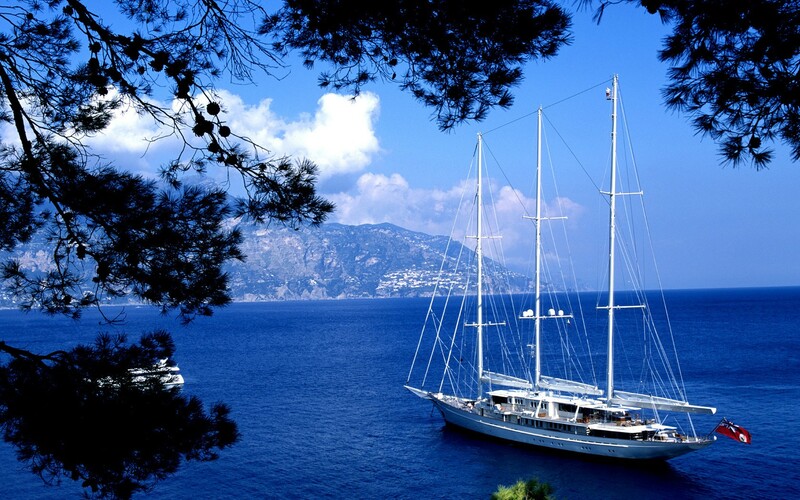 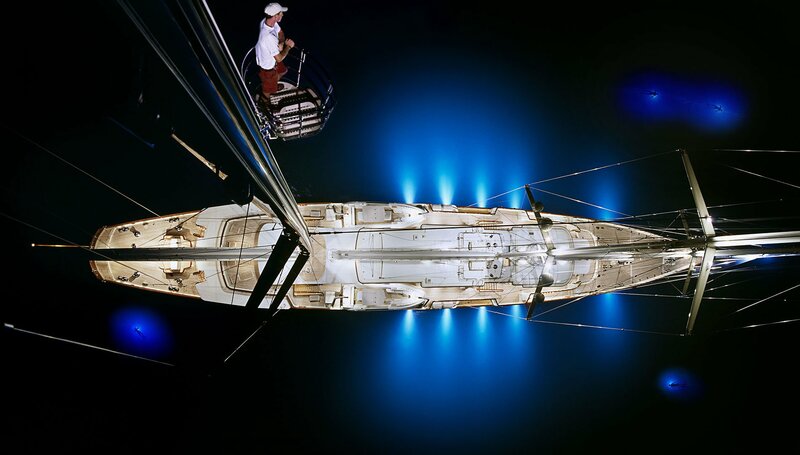 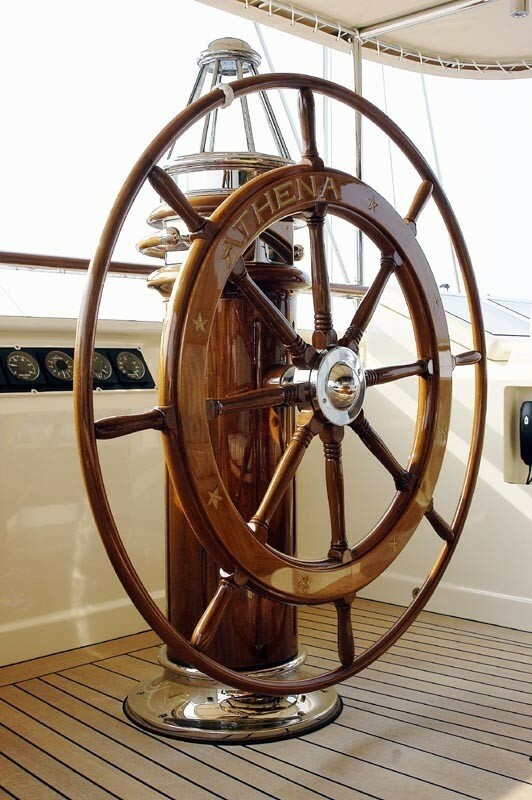 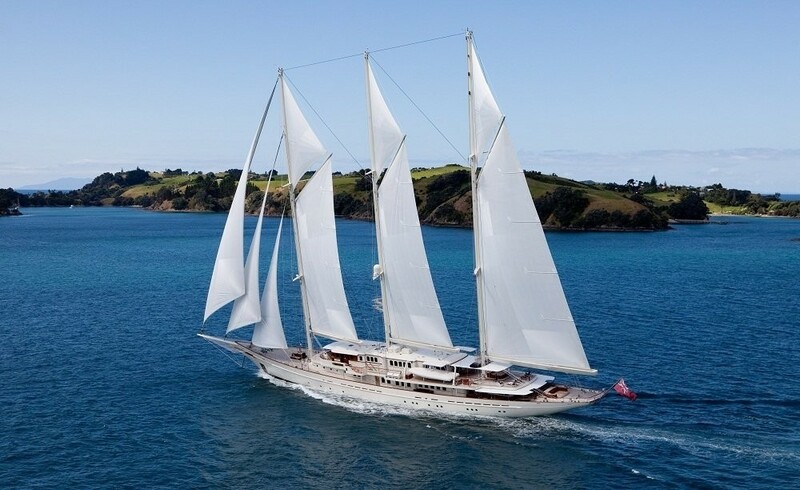 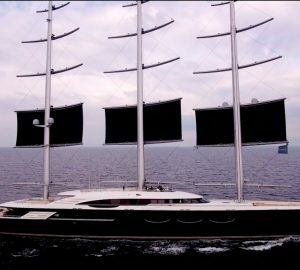 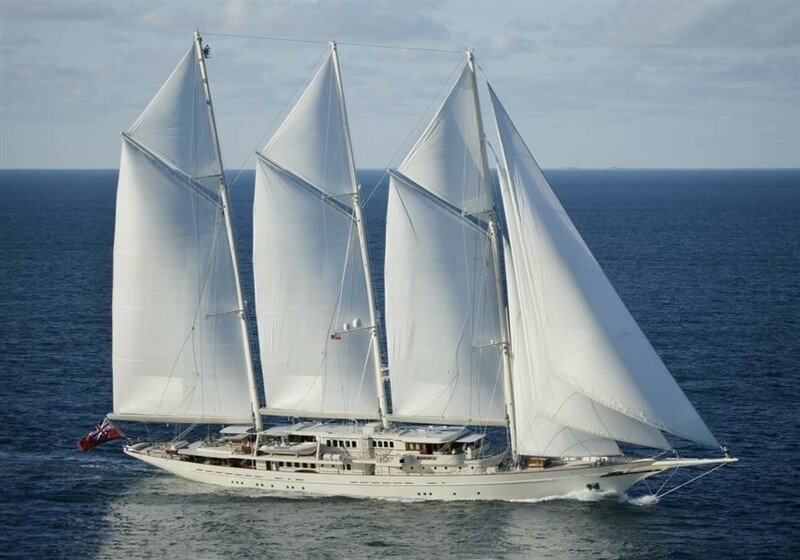 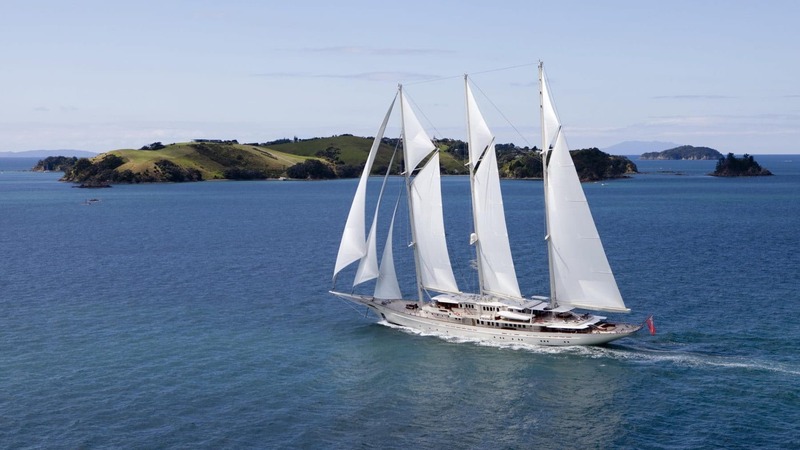 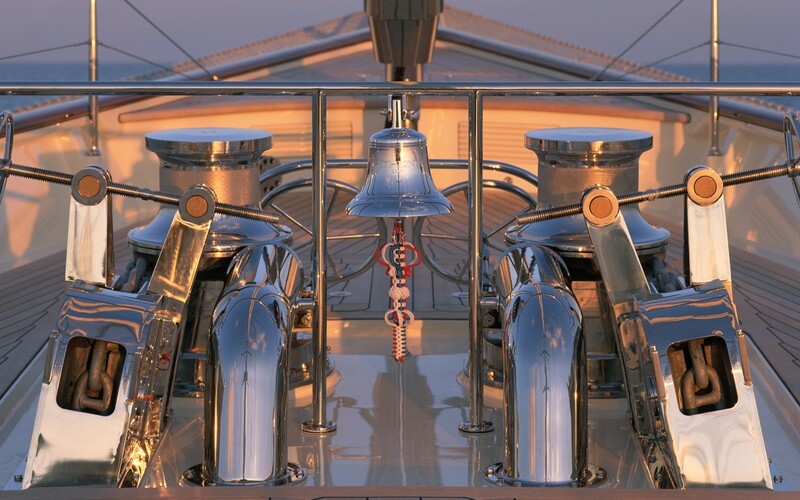 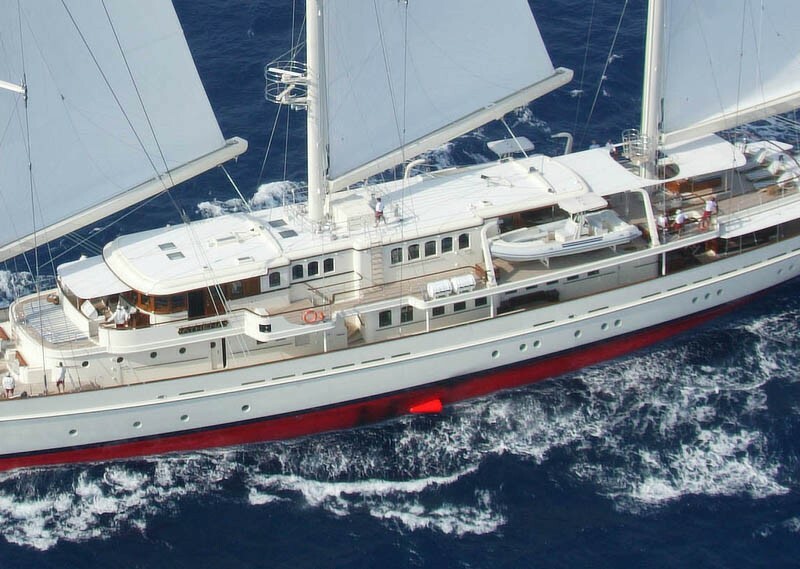 Amongst the largest sailing yachts in the world, three-masted schooner has naval architecture created by Dykstra Naval Architects and her exterior styling is the work of Pieter Beeldsnijder while the interiors were produced by Rebecca Bradley. 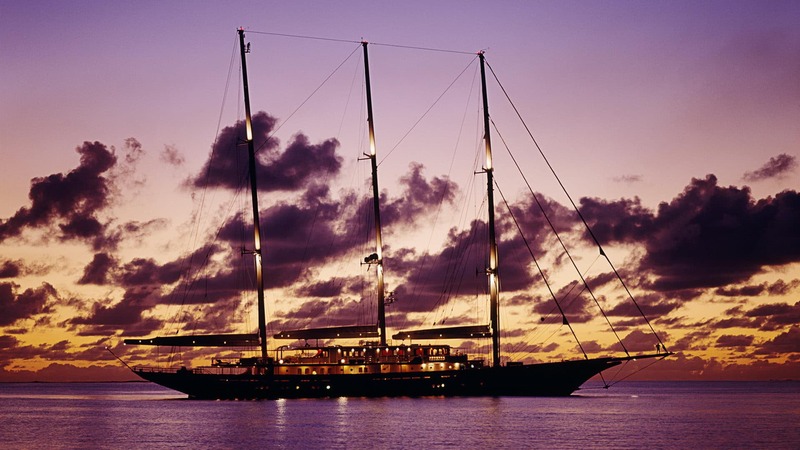 The accommodation sleeps 10 charter guests over 5 cabins offering a truly unique experience and a vacation to remember for a lifetime. 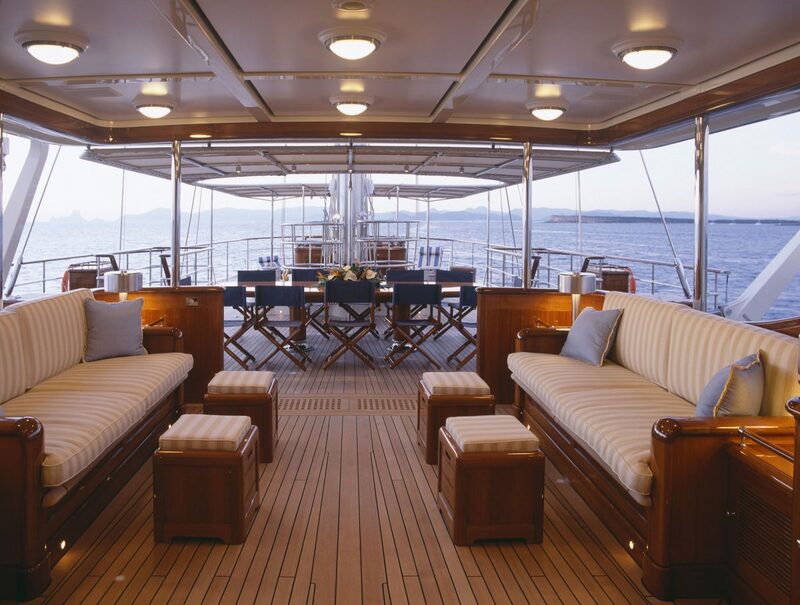 The main deck aft provides guests with a shaded outdoor area with a curved sofa in each corner and a table for drinks and casual meals. 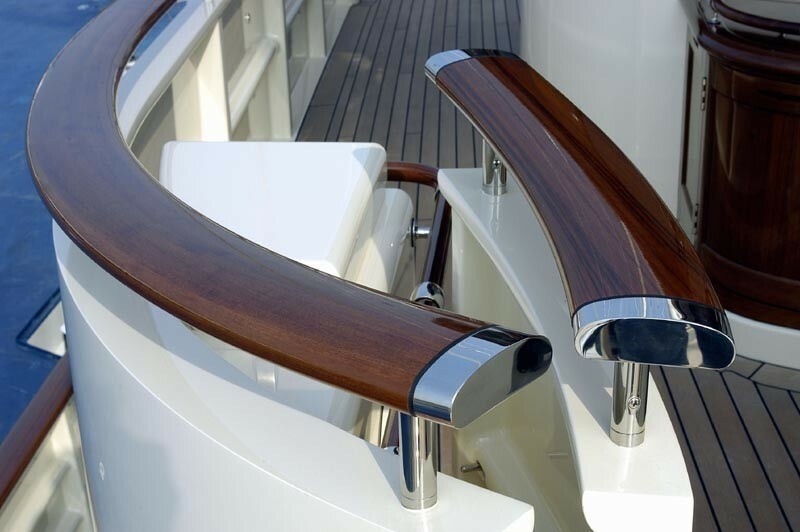 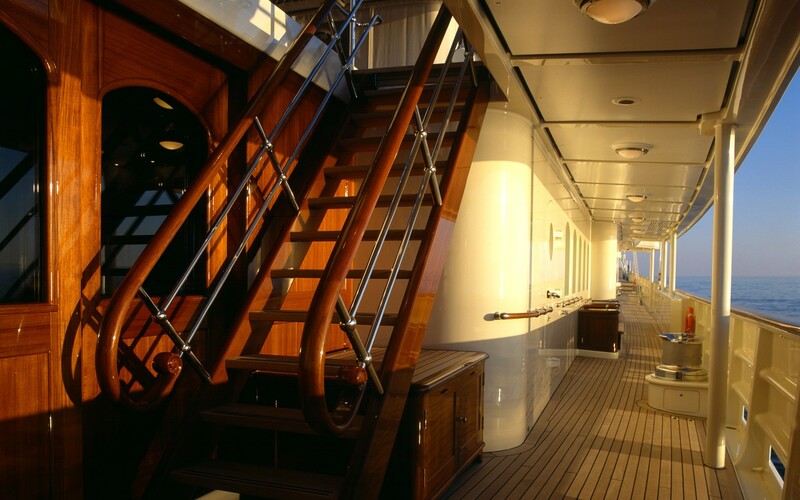 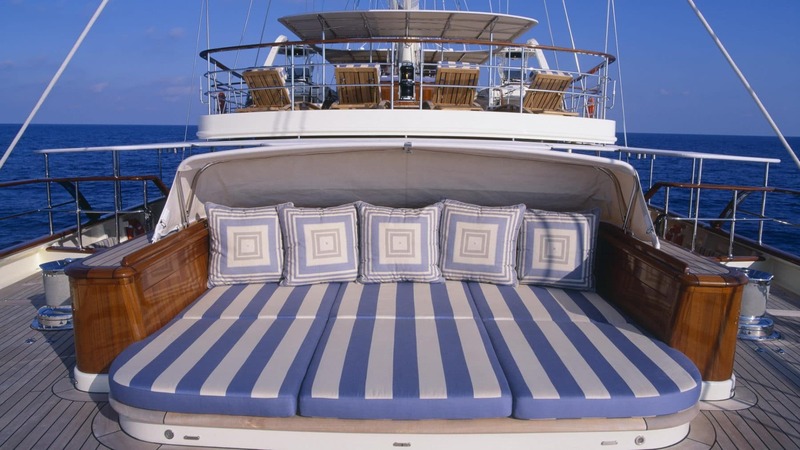 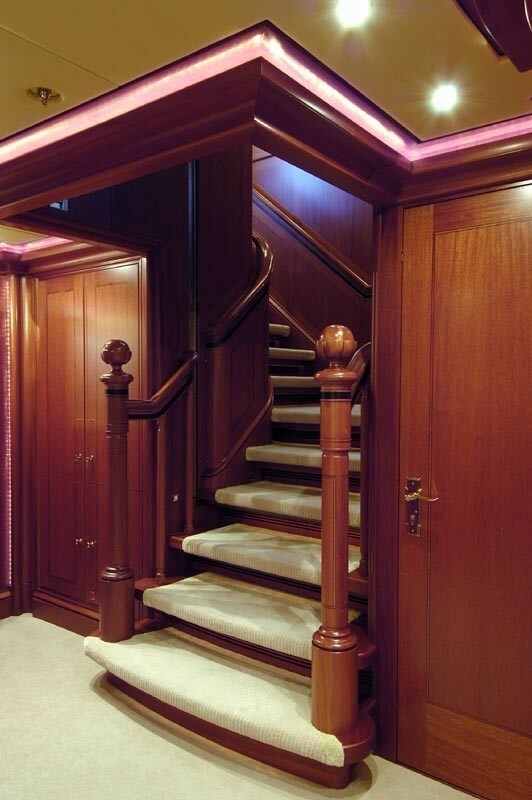 Stairs lead up to the stern where guests can sunbathe and observe the surroundings. 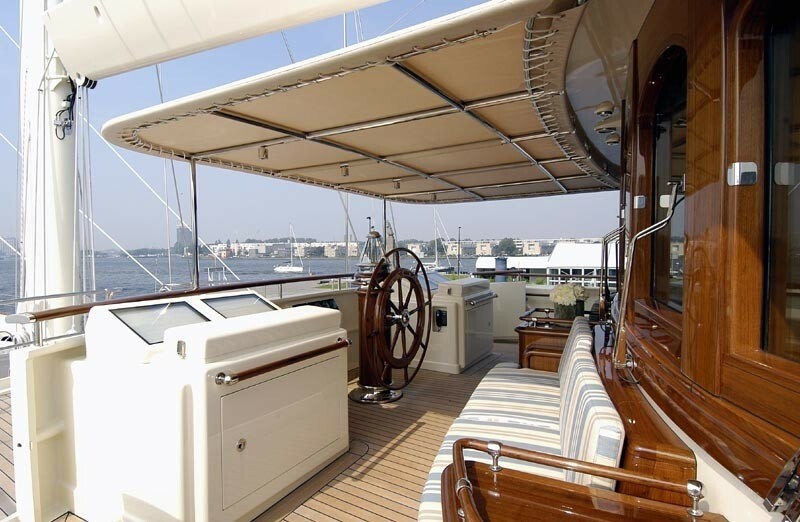 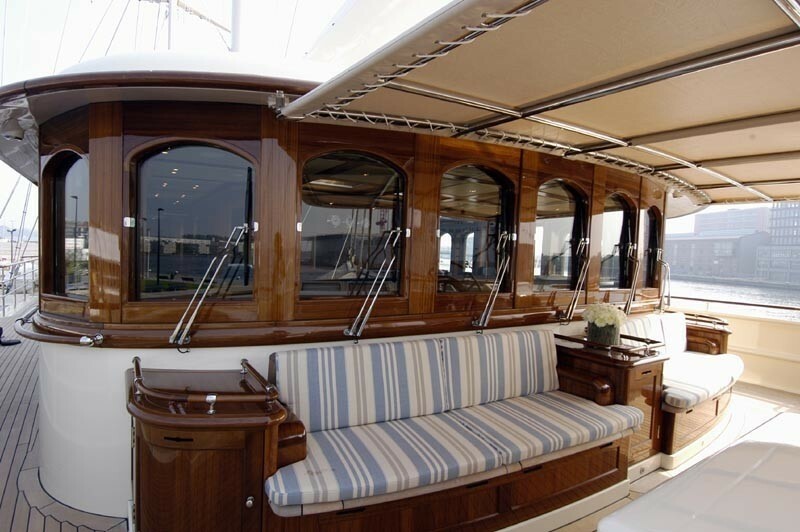 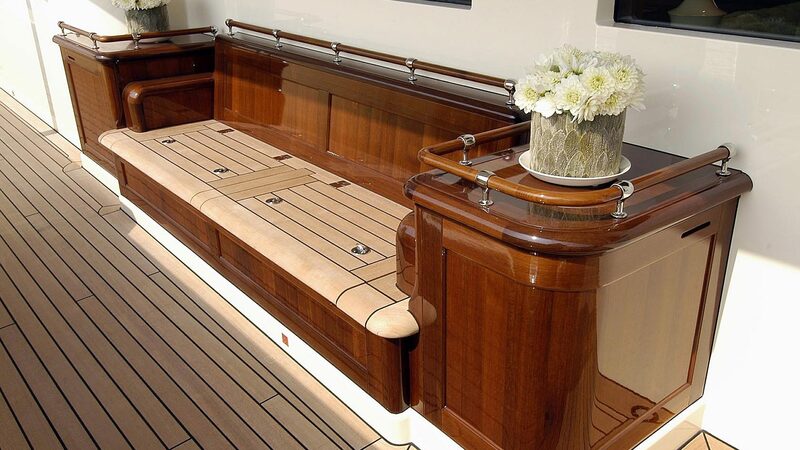 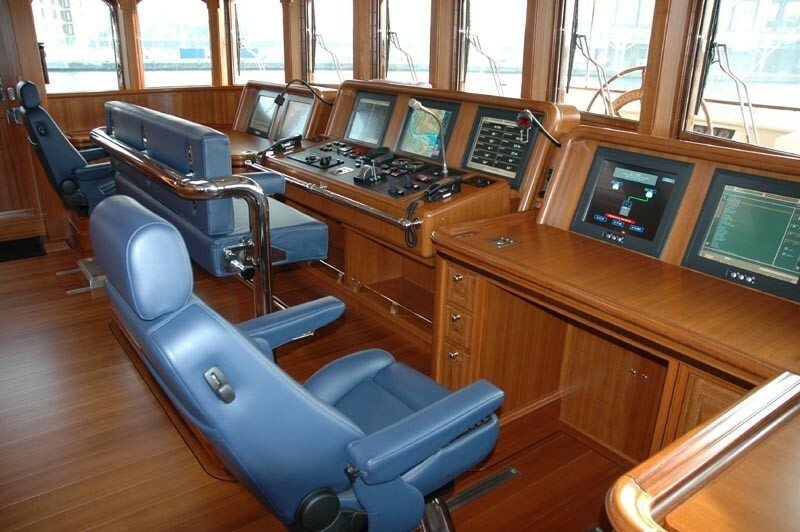 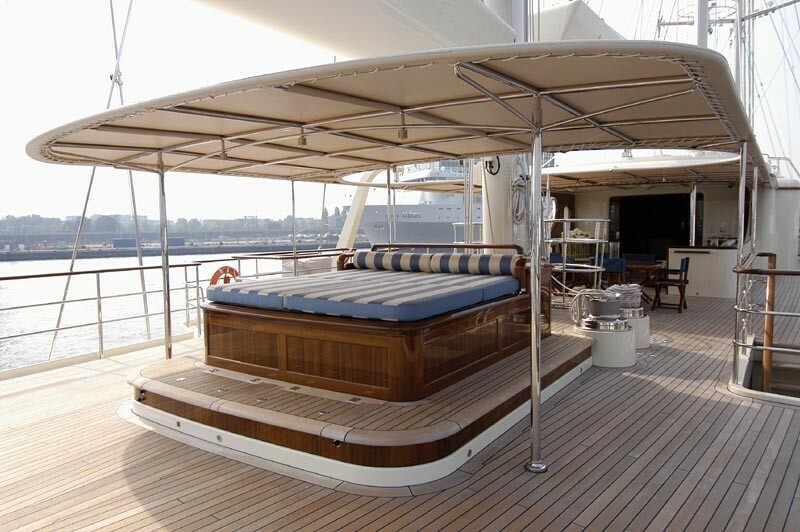 On the bow, there is an abundance of space for outdoor exercise and taking in the forward views. 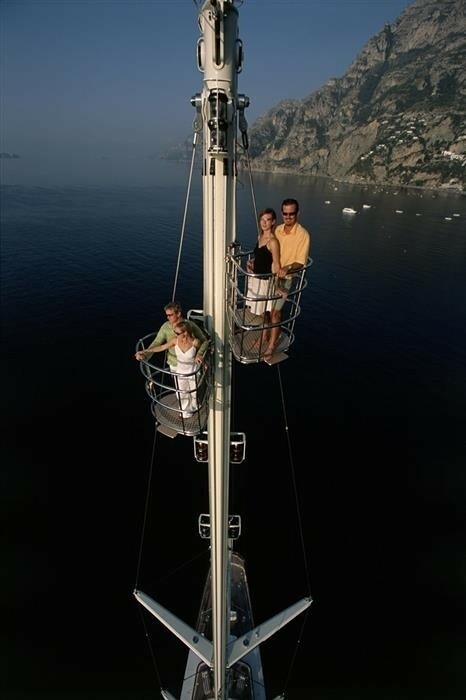 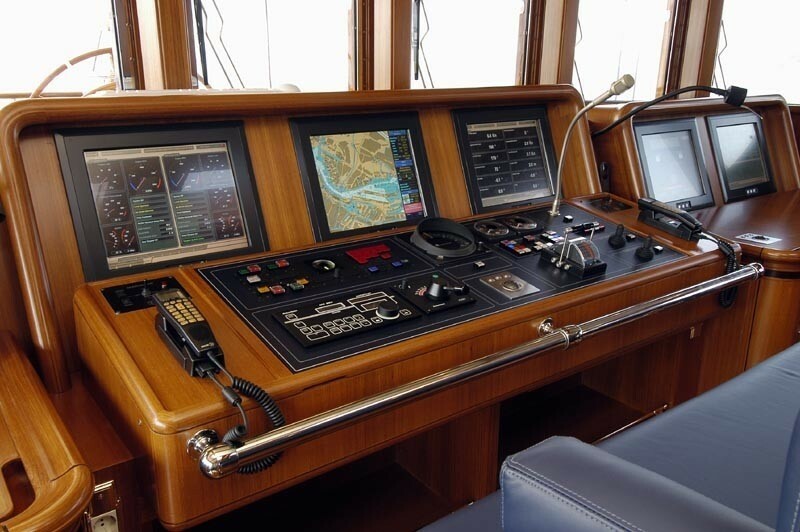 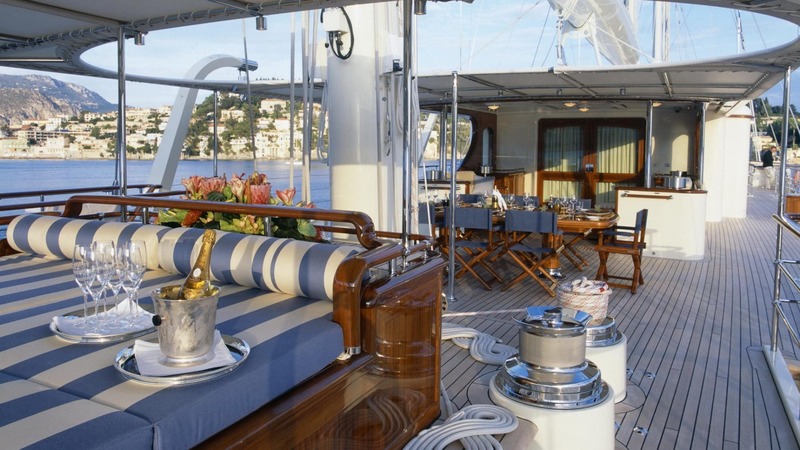 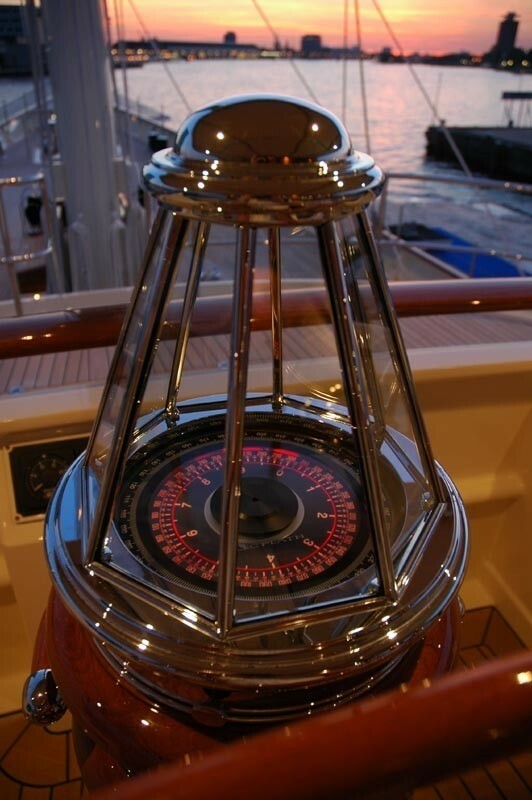 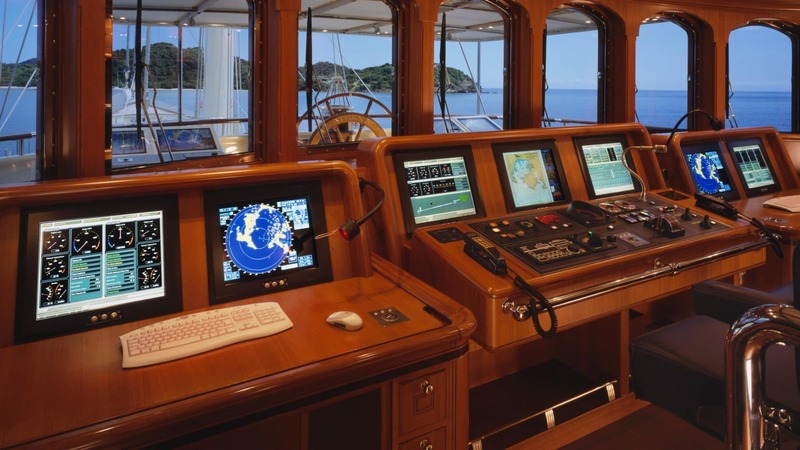 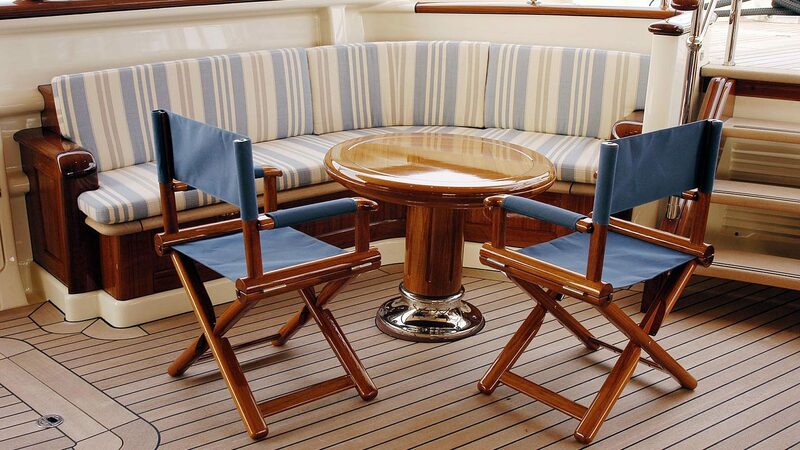 Above, guests can unwind on the sun pads in front of the helm station, or dine alfresco on the bridge deck aft. 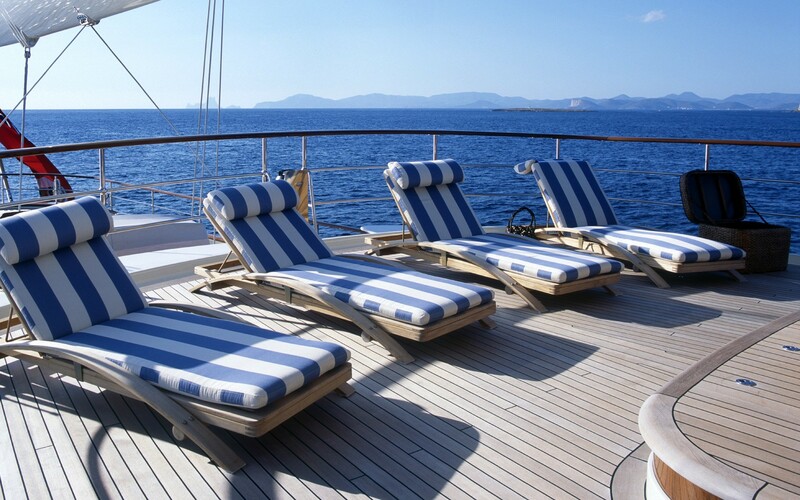 Sunpads and sun loungers complete the amenities and provide guests with a place to rest in the sunshine after a meal. 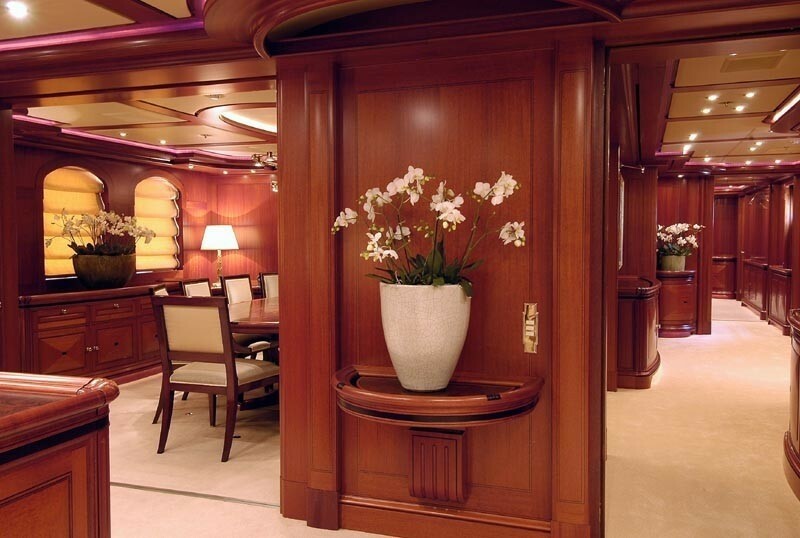 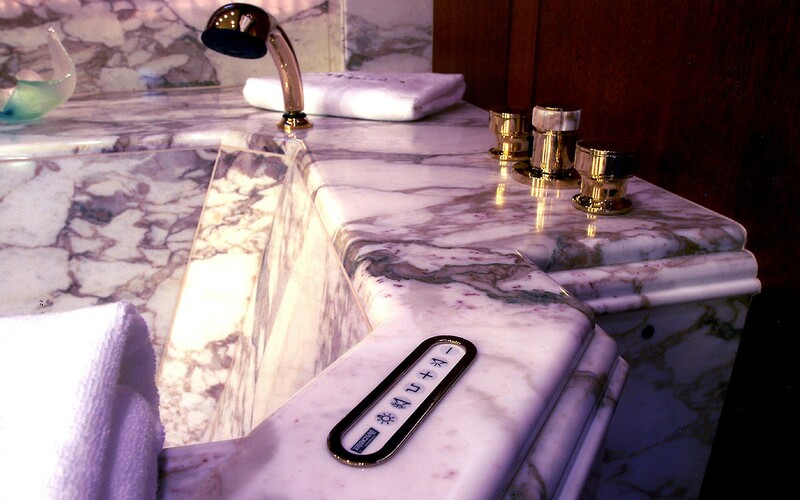 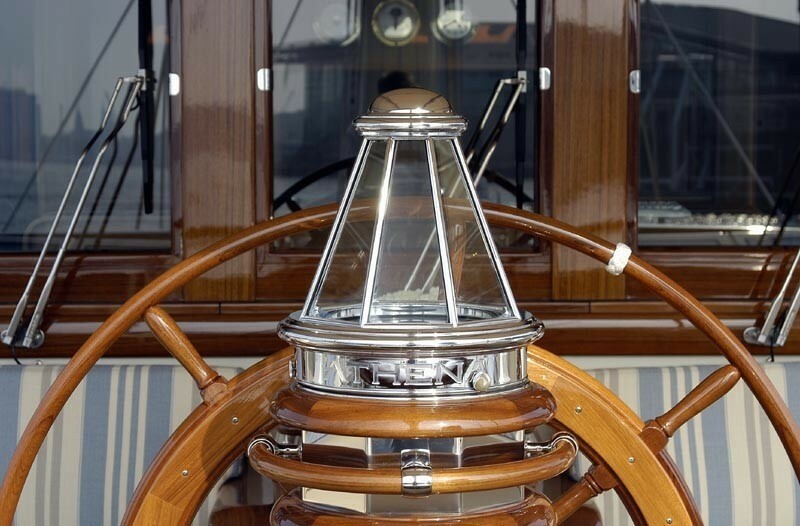 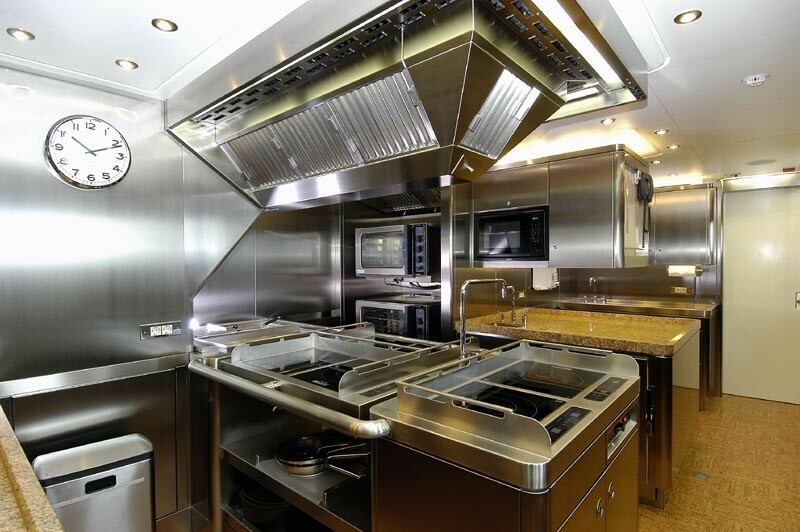 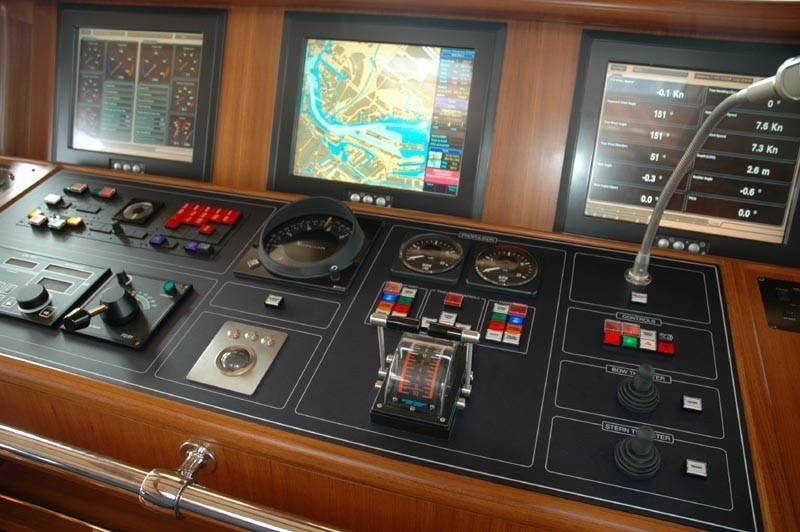 Rebecca Bradley decorated the interior using classic styling and integrating the very latest in modern technology. 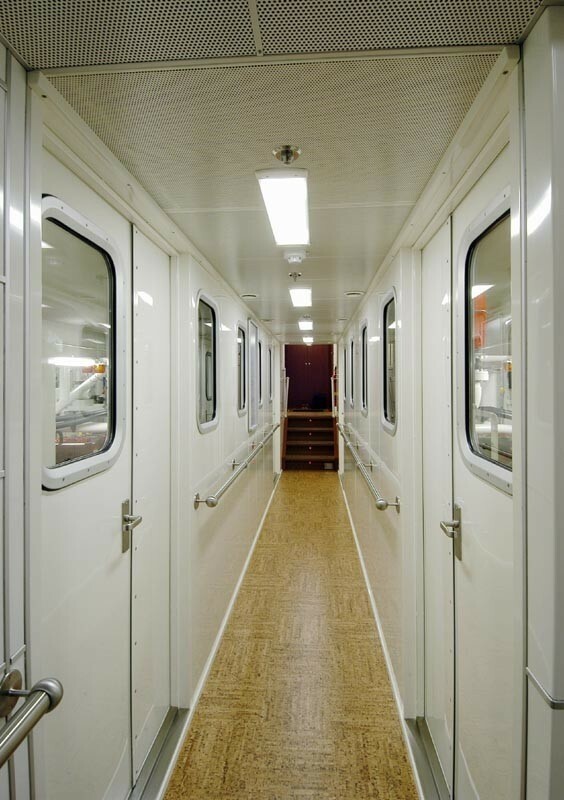 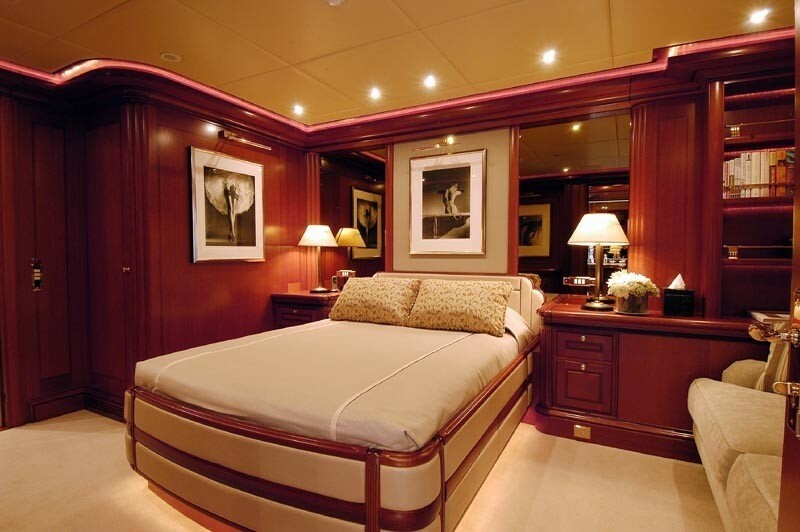 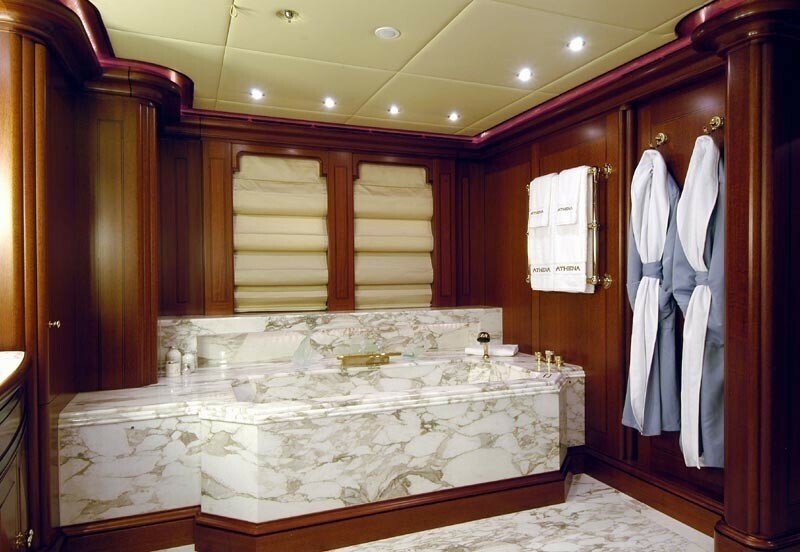 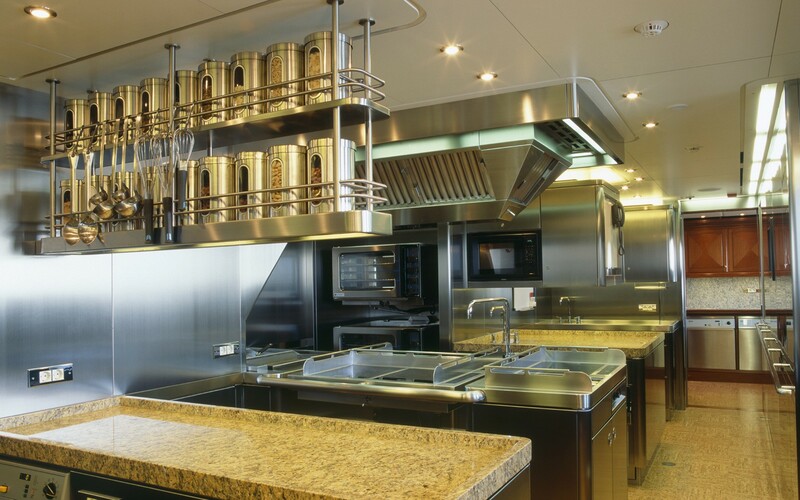 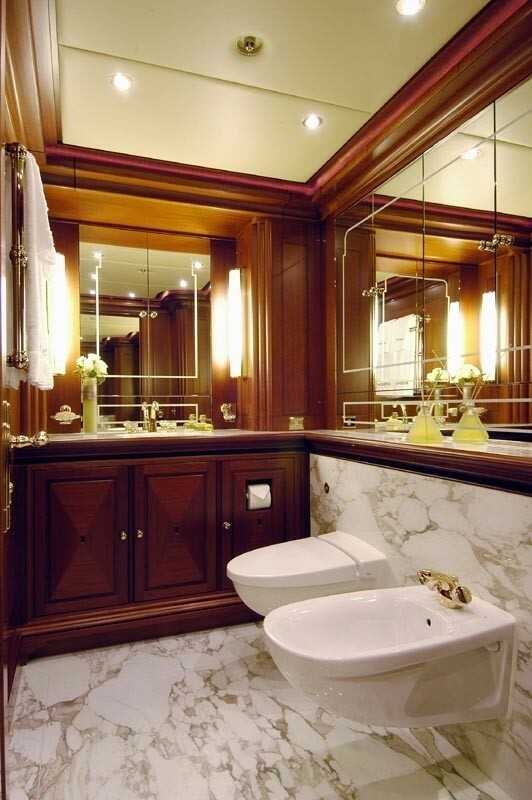 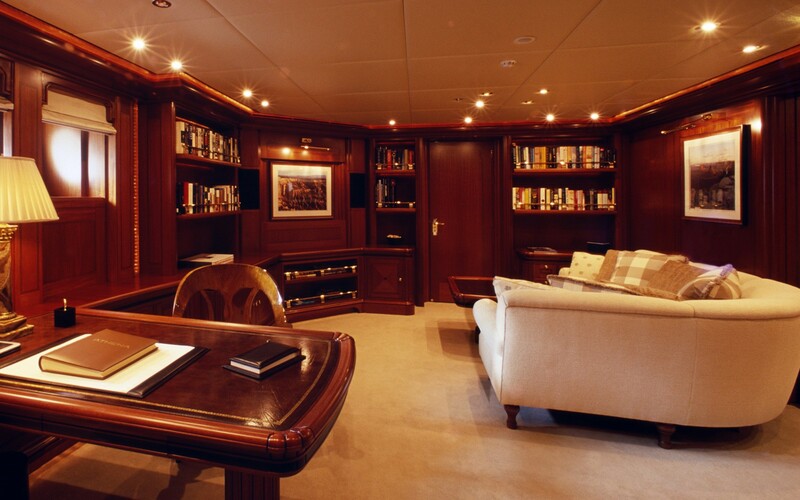 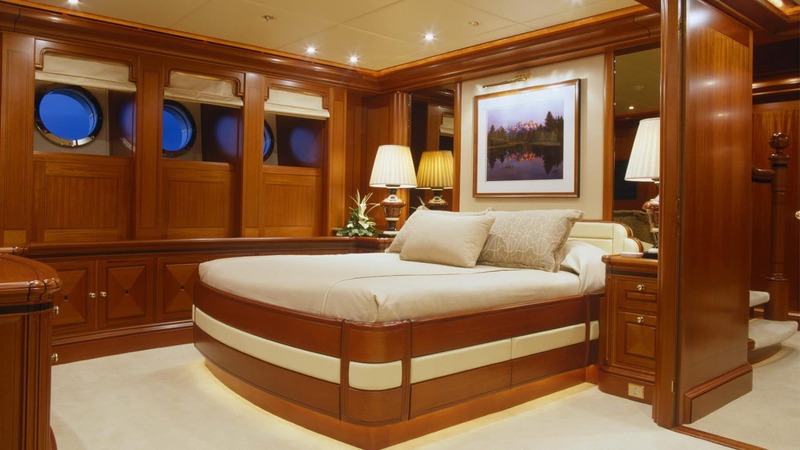 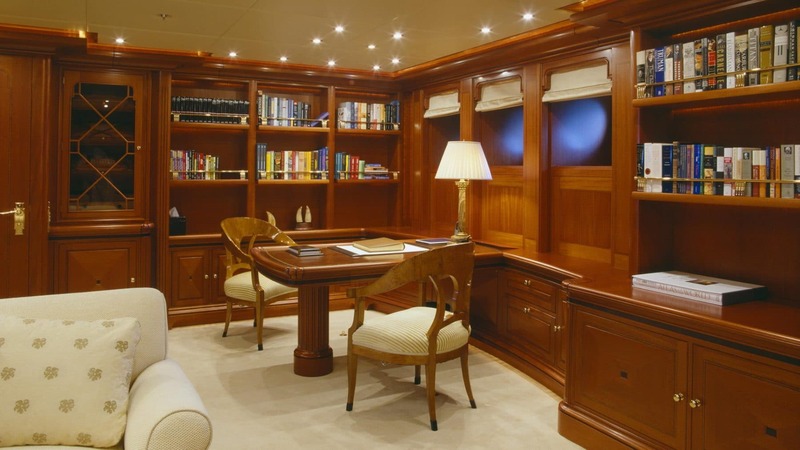 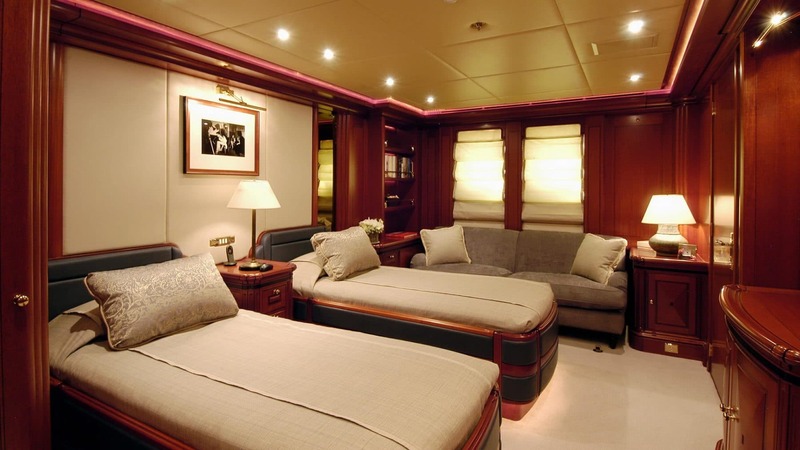 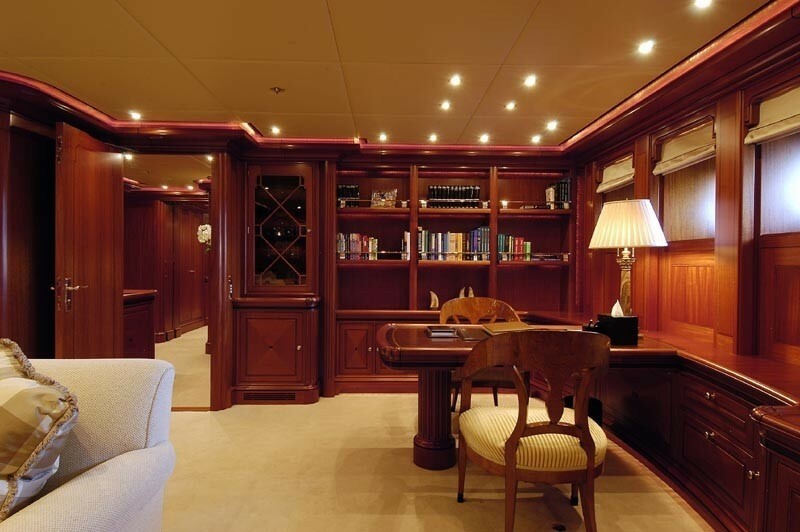 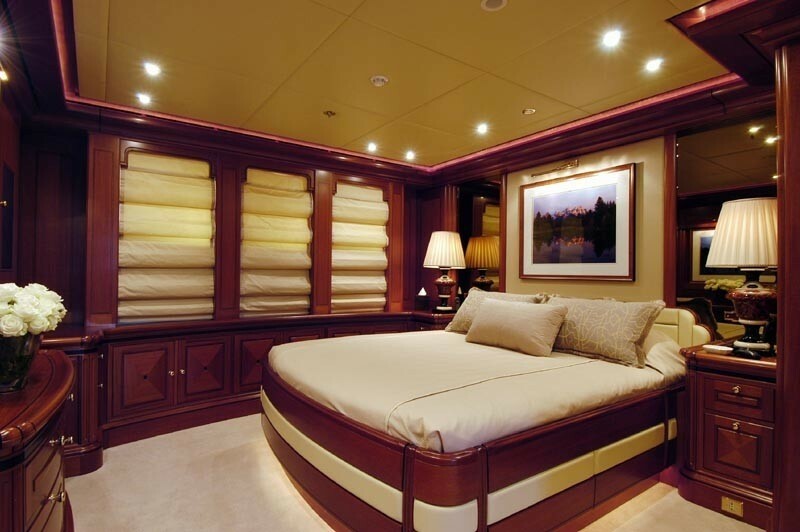 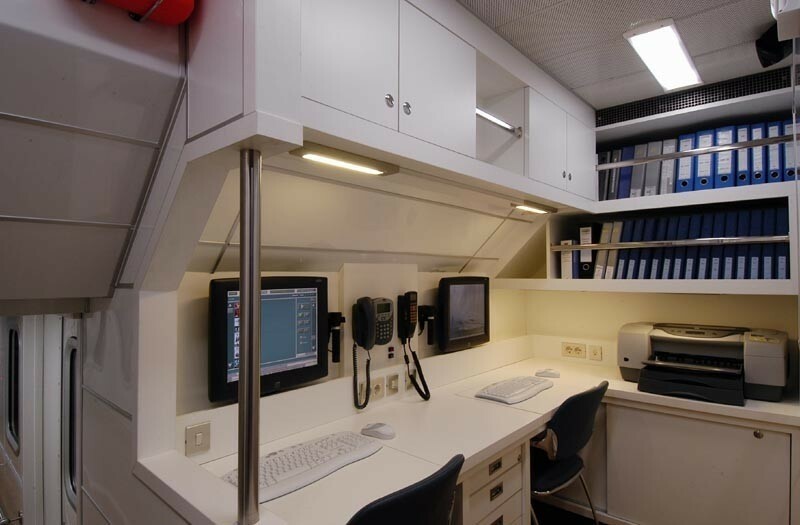 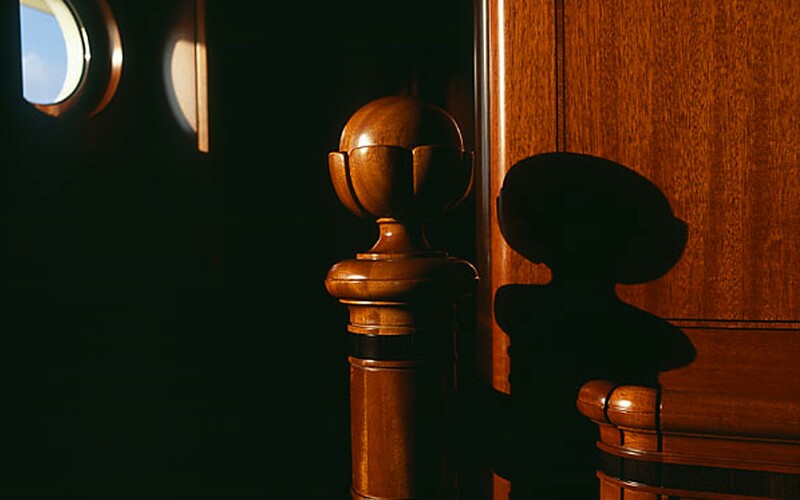 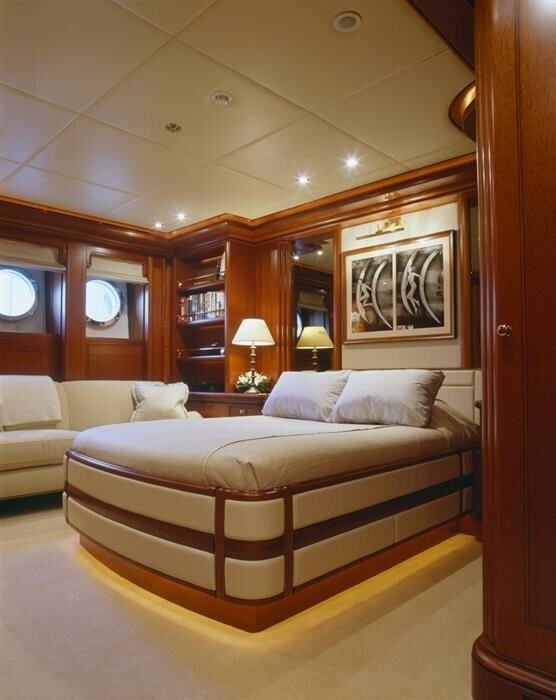 Below decks is the guest accommodation, which consists of five en-suite cabins comprised of a twin cabin, three double cabins and one Master suite with a separate study, walk-in wardrobe and an en-suite bathroom with a Jacuzzi tub. 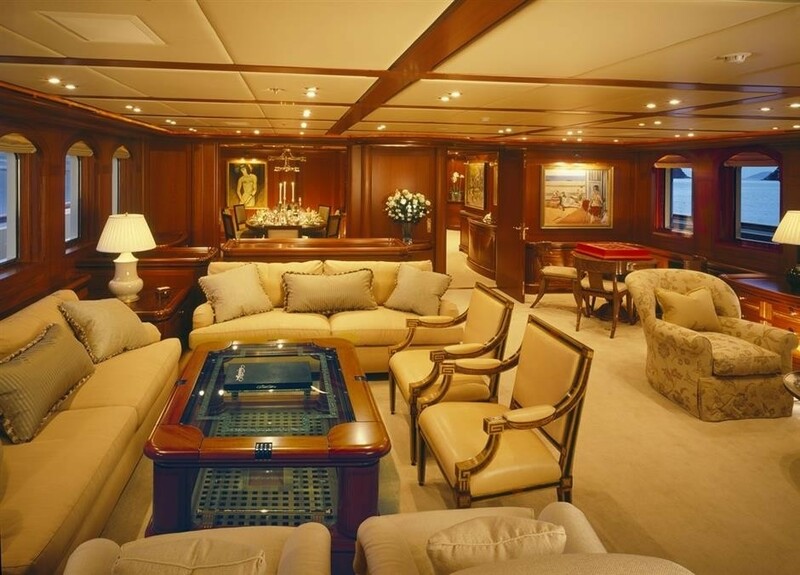 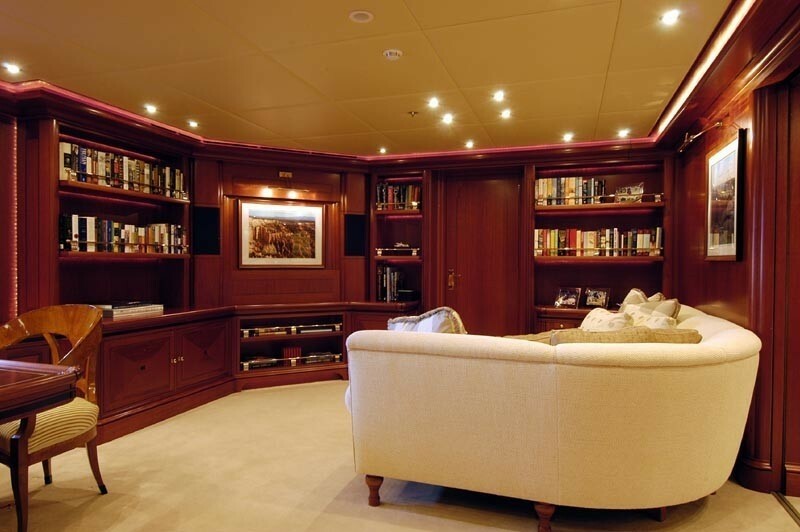 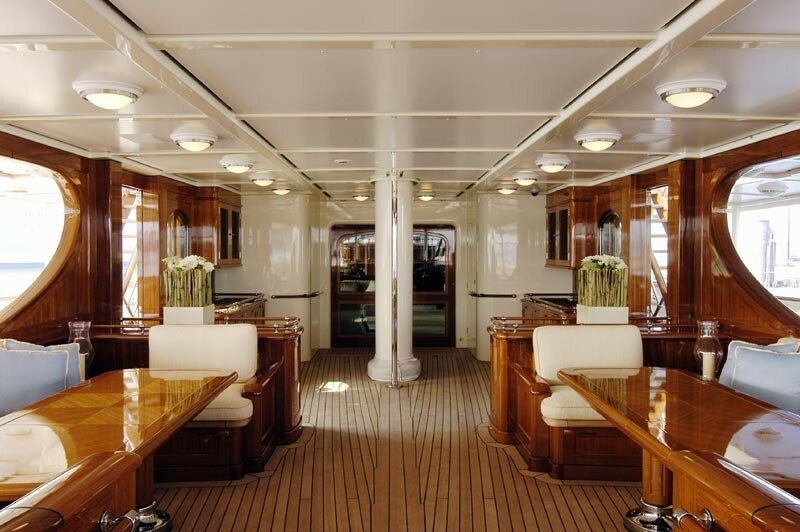 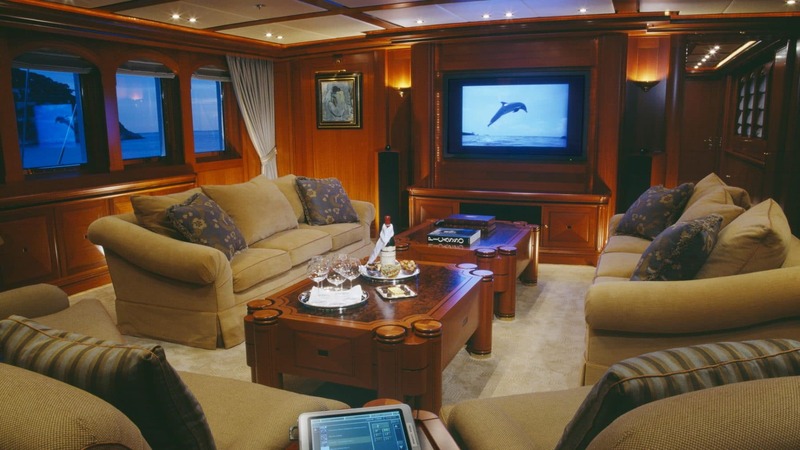 The main salon is divided into different sections for guests to enjoy separate activities during the charter holiday; a games table is placed forward and in the middle section there is a port-side lounge made up of three spacious sofas and armchairs around a coffee table. 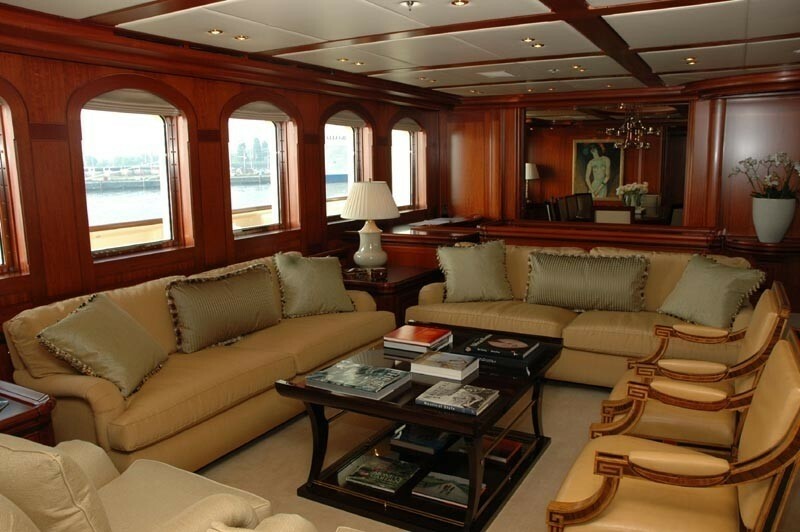 Opposite, two armchairs create a cosy seating area beside the windows. 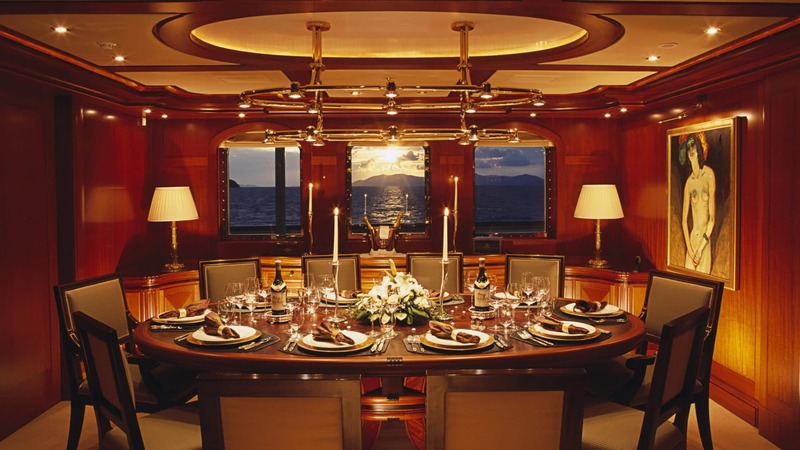 Farther forward, the formal dining area occupies its own space for a more intimate dining environment between eight guests. 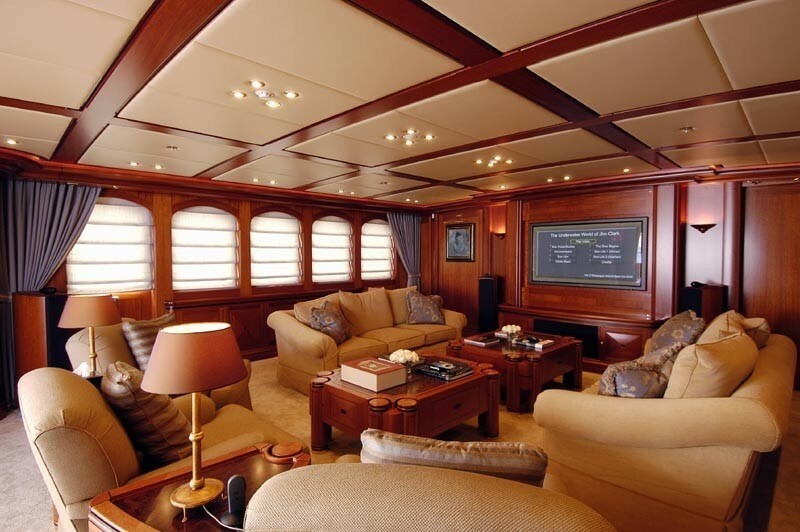 On the bridge deck, the interior provides a media room to entertain younger members of the group or as a cosy space to watch a film in the evening. 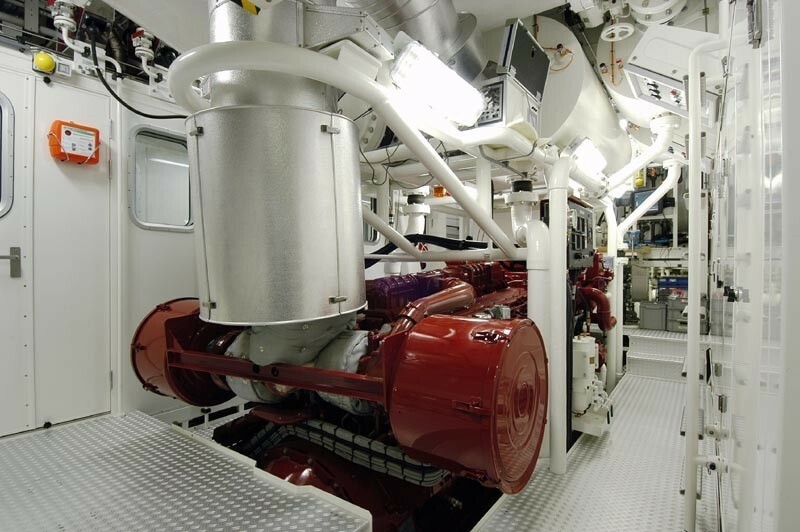 2 x Caterpillar 3516B/ 1492 kW engines produce a cruising speed of 14 knots and a top speed of 19 knots. 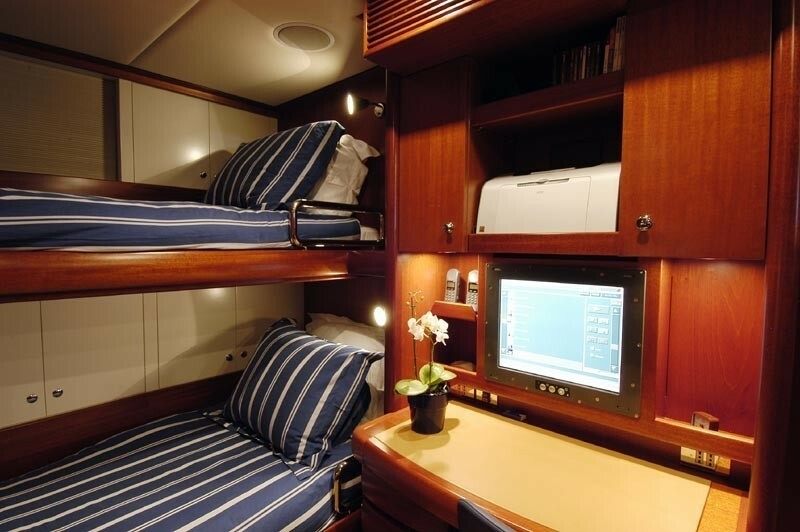 The accommodation sleeps 10 guests across 5 cabins: 1 Master suite, 3 double cabins and 1 twin cabin. 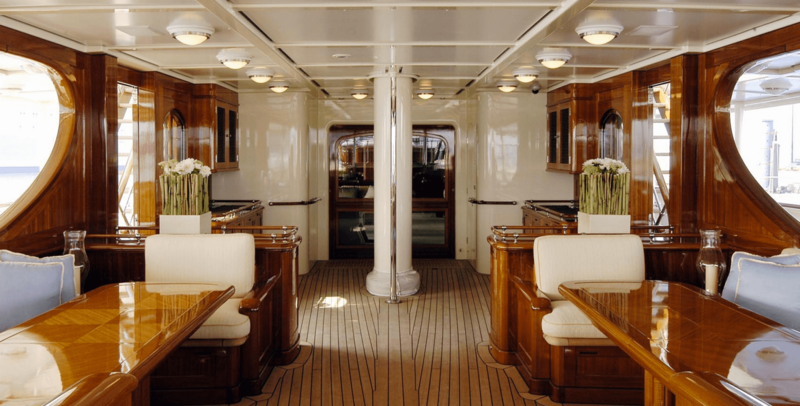 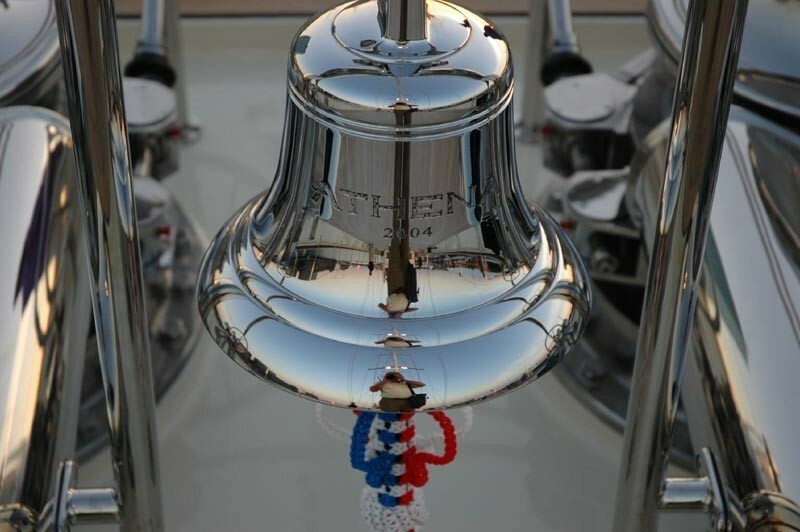 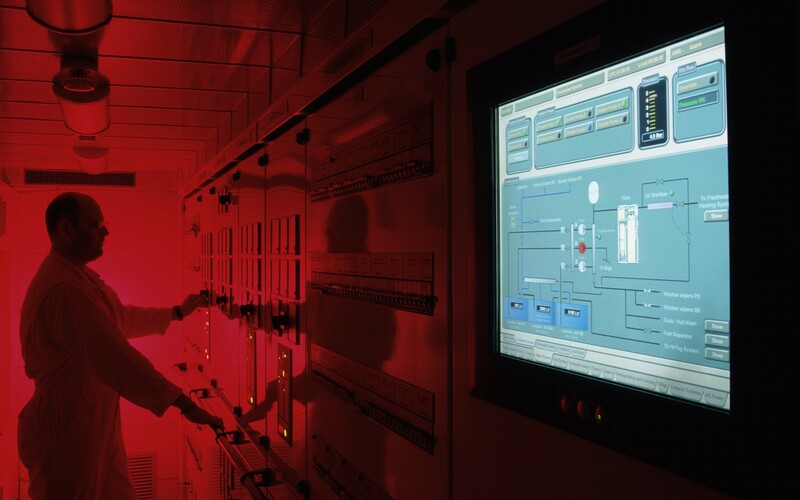 The crew of 19 will ensure that everyone on board has a safe and incredible journey with first-class service throughout.